In the chat box above, you may ask any questions you have regarding Ustream. The help chat is staffed by unpaid community volunteers, referred to as Helpers. Clicking the "Show Users" icon on the far right corner of the chat box above the "Send" button will reveal all of the users on the live help chat. Official Ustream Helpers that are active will be listed under the “Broadcaster” category with a red nick name. Helpers that are listed under the “Moderator” category with a blue nick name are present but may not be active. If an active Helper does not appear to be present ask your question in the chat and another user may be able to assist you with your issue. Like most channels, we have a few common sense rules. Please read the Ustream #Help Channel Guidelines to familiarise yourself with them. If you have been waiting without a response for more than about five minutes, visit the Ustream Helpers website and feel free to search for an answer at http://ustream-helpers.com or the Ustream Helpers forum at http://ustream-helpers.com/forum and start a new post with your question. Ustream administration, moderators, and helpers will never ask for your password or other personal information. If you are asked for any personal information by any of the listed above, please report it immediately. If you have an inquiry that we are unable to assist with we suggest that you visit http://ustream.tv/support-ticket and open a support ticket. For more information or questions about the Ustream Help Team please email us. Ustream Community Help takes pride in its quality of service offered by all of those who represent the Help Team. If a Helper has been less than helpful or has behaved inappropriately please let us know so that we can ensure the maintenance of our high standard of Ustream help. 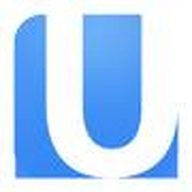 Become an Official Ustream Volunteer Helper! Review the requirements and qualifications and submit an application.